Check out the end of week video, that recaps the awesome time campers had! For their last camp meal, campers got to enjoy a wonderful cookout at the sunny waterfront! God certainly provided us with amazing weather on this last day! The menu included hot dogs, baked beans, carrots, celery, oranges, and grapes. Today's lesson revolves around the concept of Godly Me. Campers are learning that simply being themselves is one of the best ways to honor God. Follow along by reading about the story of David returning the Ark of the Covenant to Israel, found in 2 Samuel 6:1-19. For breakfast on this final morning of camp, the menu consisted of scrambled eggs, cheesy hash-browns, and bacon! The beautiful sunshine provided a wonderful addition to the delicious meal. 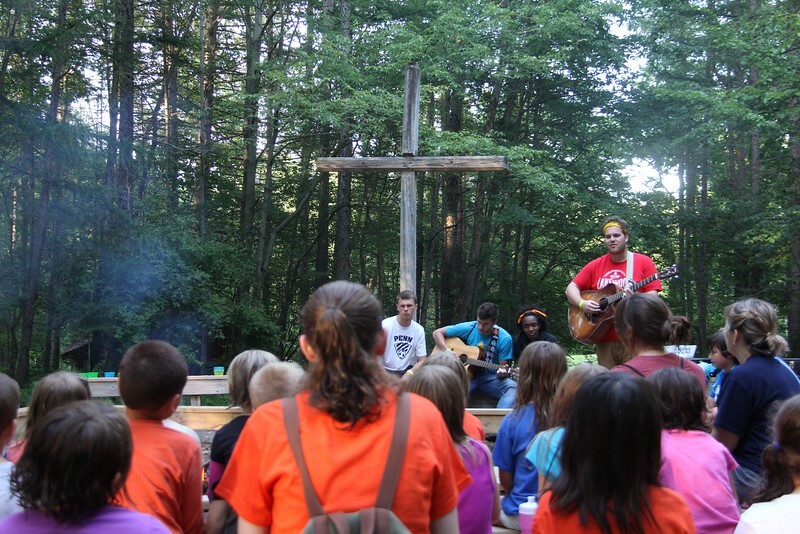 Tonight at worship, campers sang the songs "Open the Eyes of My Heart", and "Our God is Greater". Director Matt continued talking about how we can use our gifts, no matter how small, to please the lord. Then, campers wrote down whatever they wanted to pray for, and put them at the foot of the cross. The energy on this last night of camp was amazing! 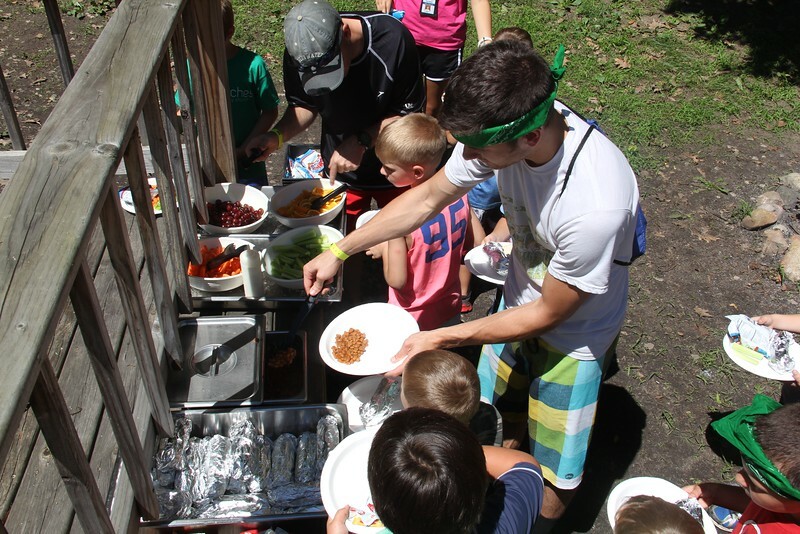 For dinner tonight, campers got to enjoy amazing lasagna rollups, breadsticks, and green beans. The whole dining hall cheered when it was announced that there would also be chocolate cake! 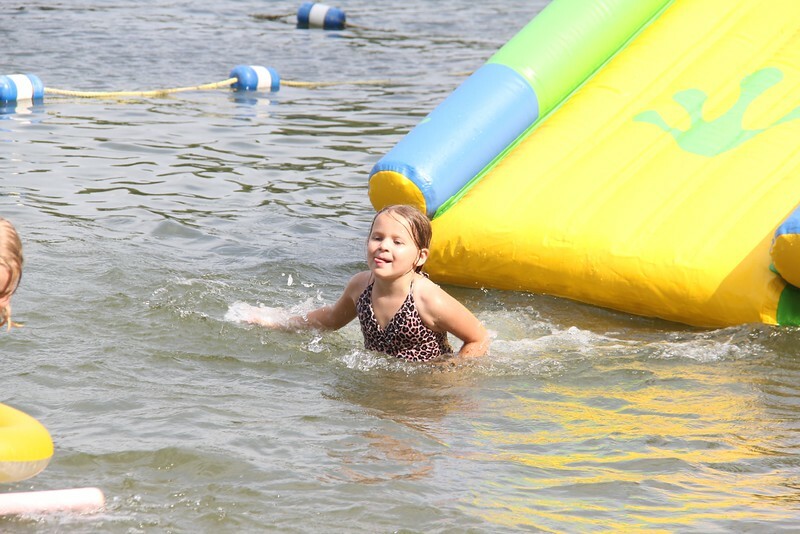 Here's a happy camper who's enjoying one of our awesome inflatable slides! Today at Hoopla, campers got to enjoy fun games like "Freeze Tag", and "Fishy Fishy". Check out this video of one of the games! ###Scripture Focus ! (http://impact2818.smugmug.com/photos/i-MRK9KGx/0/L/i-MRK9KGx-L.jpg) Today, the campers learned about Godly service, by hearing the story of how David played the harp to calm Saul. Follow along by reading [1 Samuel 16:14-23](https://www.bible.com/bible/111/1sa.16.14-23.niv). For breakfast this fine Monday morning, campers got to enjoy pancakes, sausage, and crispy potatoes. These kids certainly needed the energy for a day of awesomeness here at Camp Lakewood! Tonight at Vespers, campers learned about Godly Plans, by hearing the story of Samuel anointing David. If you would like to follow along, simply read 1 Samuel 16:1-13. The campers also learned about how God is Love. Opening your hearts to him is the best way to show that love. There was a lot of positive energy tonight at worship, and these campers seem eager to learn even more about how to become a Godly Kid! Checkout this video of one of the three water relays that campers were able to take part in tonight! For dinner tonight, campers were able to sink their teeth into tasty cheeseburgers, french fries, and corn. The whole camp cheered when they found out that for dessert, there would be chocolate pudding!